Living a Fit and Full Life: Life on Earth: Dinosaurs: With 100 Questions and 70 Lift-flaps! by Heather Alexander! Life on Earth: Dinosaurs: With 100 Questions and 70 Lift-flaps! by Heather Alexander! When did the dinosaurs live? How did they hunt? And why is the T-Rex the scariest dinosaur? Find out in this fact-filled book, the first in a new non-fiction series for children aged 5+. Each book answers 100 questions in a simple and informative way, and has more than 70 lift-flaps to open. 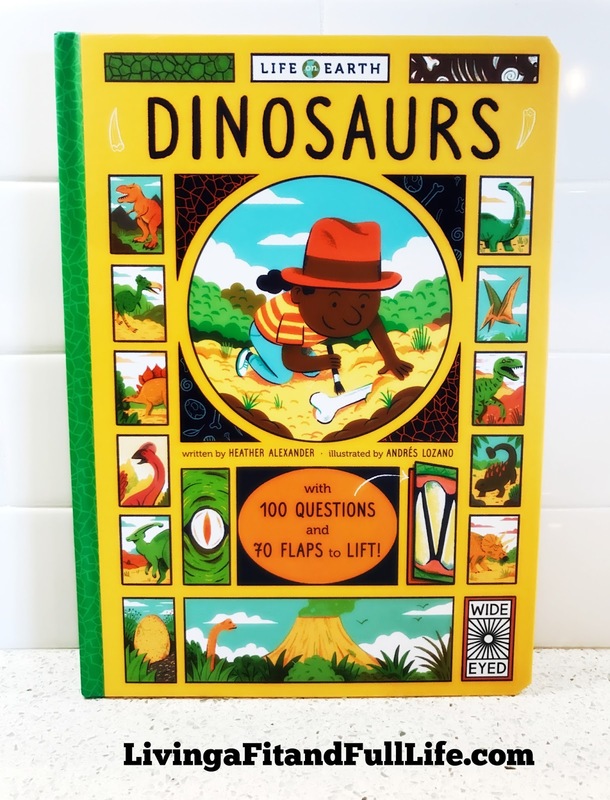 Life on Earth: Dinosaurs: With 100 Questions and 70 Lift-flaps is an incredibly fun book for kids! 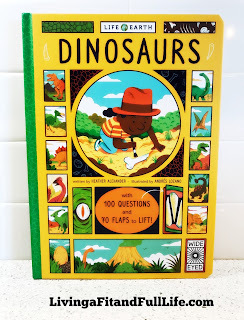 My kids absolutely love books, especially ones where they get to lift flaps and learn about dinosaurs. We've been reading this book before bed and my kiddos can't seem to get enough of it. I find them lifting the flaps during the day and looking at the fun illustrations all on their own which is a true sign of a book they love. 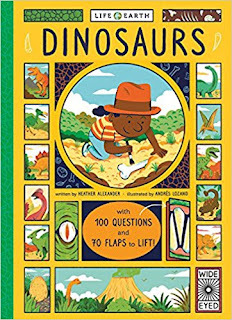 Life on Earth: Dinosaurs: With 100 Questions and 70 Lift-flaps is the perfect way to learn all about dinosaurs and would make an excellent gift for kids that love dinosaurs! You can find Life on Earth: Dinosaurs: With 100 Questions and 70 Lift-flaps! by Heather Alexander on Amazon, Barnes and Noble and other bookstores. We make and sell great illustrated books that entertain, educate and enrich the lives of adults and children around the world. Follow The Quarto Group on social media!